Histone deacetylase (HDAC) inhibitors are a diverse group of molecules that can induce growth arrest, differentiation, apoptosis and autophagocytic cell death of cancer cells. Hence, HDAC inhibitors are prime agents for the development of novel anticancer drugs. One HDAC inhibitor, Zolinza (vorinostat or suberoylanilide hydroxamic acid—SAHA), was recently approved by the U.S. Food and Drug Administration, and at least nine other HDAC inhibitors, including FK228, are in various stages of clinical trials. 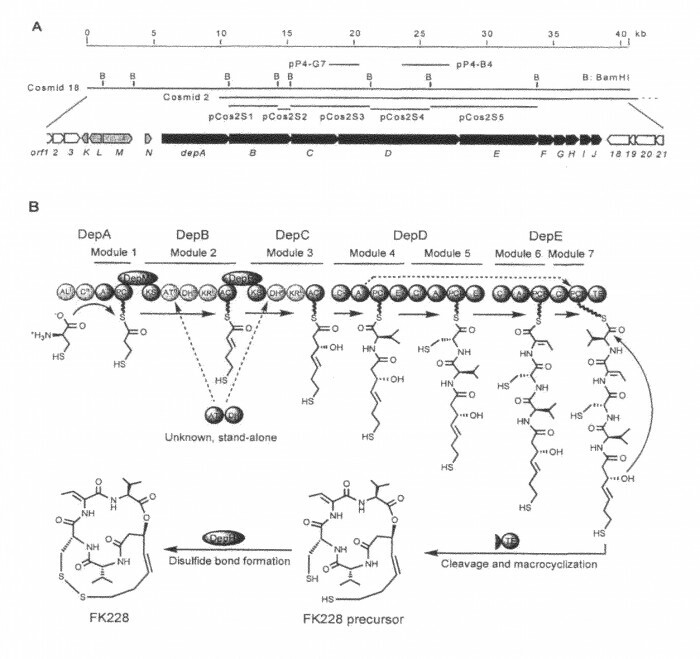 Polynucleotides encoding the polypeptides involved in biosynthesis of FK 228 and those involved in synthesis of a novel FK228 analog, thailandepsin are disclosed herein. 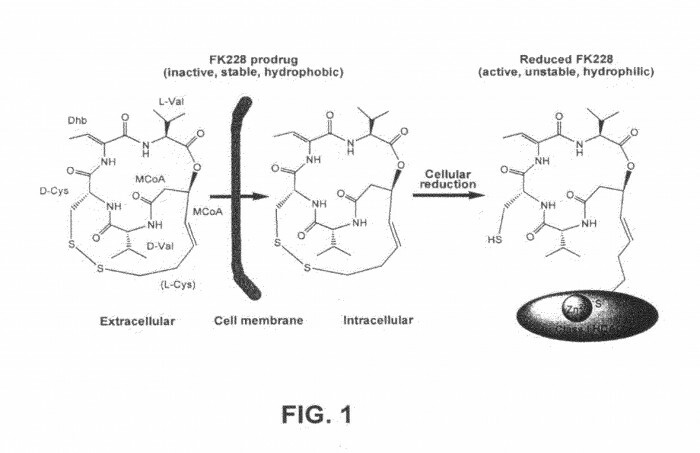 Also provided are methods of making FK228, thailandepsin and analogs of these molecules and methods of using these FK228 analogs. Chromobacterium and Burkholderia gene inactivation mutants are provided. Methods of forming a disulfide bond in a chemical are also disclosed. Looking for licensing deal or sale of patent. 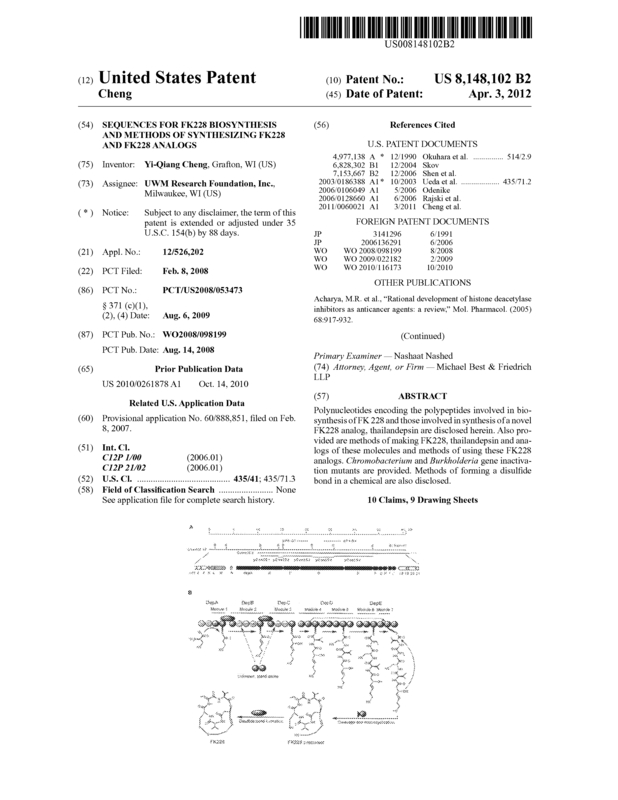 Page created at 2019-04-22 14:48:46, Patent Auction Time.